The following is a short list of our partners here at Tackle Trading. Use these links to help you further take control of your financial future. 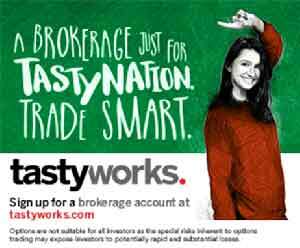 A brokerage from the brains behind Tastytrade. Get access to daily training seminars, both real-time and historical FX market data, real-time Futures data, and EOD historical data courtesy of Kinetick. Kinetick® delivers reliable, fast and cost-effective market data to help level the playing field for active traders. Take advantage of unltered, real time quotes for stocks, futures and forex that exceed the expectations of the world’s most demanding traders, like us! Listen to Tackle Trading’s own podcast starring Coach Tim and Matt. You’ll get solid financial education blended with humor and integrity. Listen in as they articulately deconstruct complex financial topics into bite-sized portions. Secure your investments and insure your labor. Why convert all your hard work into a deprecating fiat paper currency when you can own real value? One of the finest scanners on the market. Keep your business running smoothly with asset protection, tax and estate planning from our friends at Anderson.